Competition is something humans have thrived on for thousands of years. Kids are the best at finding ways to turn everything into a competition. “How fast can you run to the barn and back?”, “I bet I can catch more frogs than you!”, “Race ya to the swing set!”. I can remember as a kid being really competitive with my older sister. We would play this card game called Spit. I couldn’t tell you how to play it now but I remember it being really fast paced and whoever finished laying their cards down in order first would win. Deborah (my sister) had lightening fast hands and I’m pretty sure I never beat her. But I kept trying! Every time she beat me I would get a little more mad and a little more determined. Now as an adult I still have a fiery competitive side, but maybe a little more perspective to go with it. We live in a society that has forgotten the importance of competition and having clear winners and losers. Everybody gets a participation trophy nowadays. Which may seem like the fair thing to do, but I think it waters down the drive to succeed and win. It waters down that ambition and work ethic it takes to become a winner. At times I have wondered how competition and being driven and goal oriented has fit into my walk with the Lord. Now I see more clearly than ever how important it is for people, including myself, to feel the real feelings of competition, of winning and losing, and picking a team. You see, when I was a little kid, I decided to pick a team. The coach was reaching out to me and I took the invitation. I chose to be on the team for Jesus Christ. We are living in the most important competition of our time, the battle of good and evil. As Christians we already claim the victory at the end. We are the clear winners, and not everyone will get a participation trophy. Only those who have chosen to be on the team will make it to the winners circle. It is for that reason that I think competition is so important. It stokes our fire, it teaches perseverance, it teaches us to stay the course even when things get tough. It reminds us of the reward at the end for our hard work. It brings out the best and worst in us. My challenge is always to remember the bigger picture. Who’s team am I really on? What am I fighting for? Am I doing everything I can to recruit more people to our team? Am I feeling the same intensity for competing in the battle of good and evil as I do when I’m running my horse? The importance of competition is apparent to me now more than ever. Not everybody is a winner. Not everyone will stay the course. Not everyone will join the team. But there will only be one winning team. I think of this verse almost every time I compete and it helps me get in the right frame of mind and have the right perspective. “In a race all the runners run. But only one gets the prize. You know that, don’t you? So run in a way that will get you the prize. All who take part in the games train hard. They do it to get a crown that will not last. But we do it to get a crown that will last forever. As we get closer to the end of the season for barrel racing and rodeo, I’m keeping these things in the forefront of my mind. 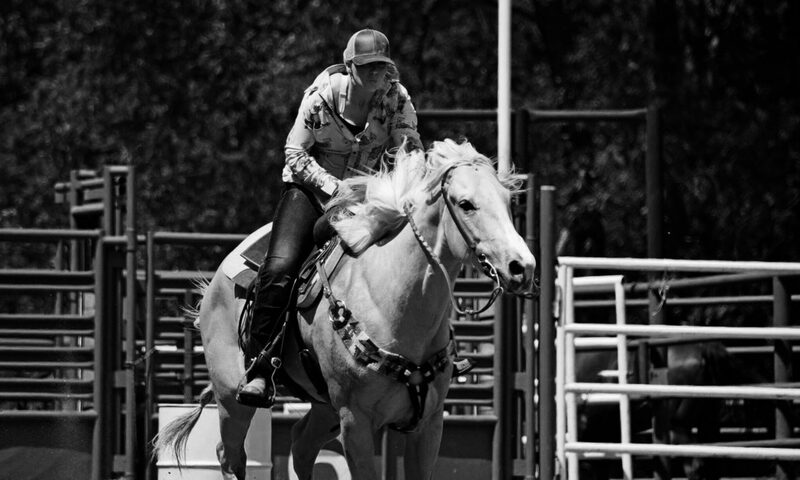 I will train like someone who wants to WIN, both in competing with my horse and my walk with the Lord. I will continue to stoke that desire and race towards the finish line with my head held high and with the knowledge that the real victory belongs to the Lord!